CONQUER. EXPLORE. SHARE.CONQUER. EXPLORE. SHARE. ZoomedOUT is ZoomAway’s new flagship product and is pushing the boundaries of location-driven games with simple yet addictive and proven gameplay mechanics, all while seamlessly integrating with real-world hospitality features for businesses and points of interest. Play Continuously whenever you like, accumulating resources while you’re away. All while providing unique benefits when you’re physically located in the cities you are trying to dominate. Complete city takeovers driven by resource management, go at it alone or join a team and conquer real-life locations as you compete against the masses. 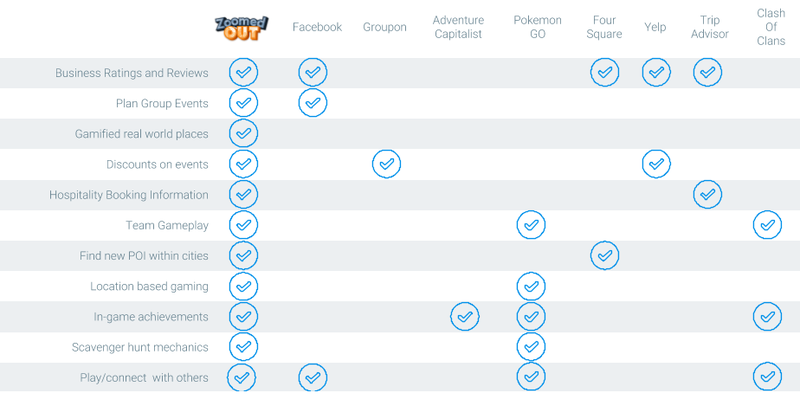 From in-app purchases to advertising revenue and business subscriptions. Our team has over 20 years in both Games and Hospitality sectors. Building the launch city, Las Vegas. See Projections. 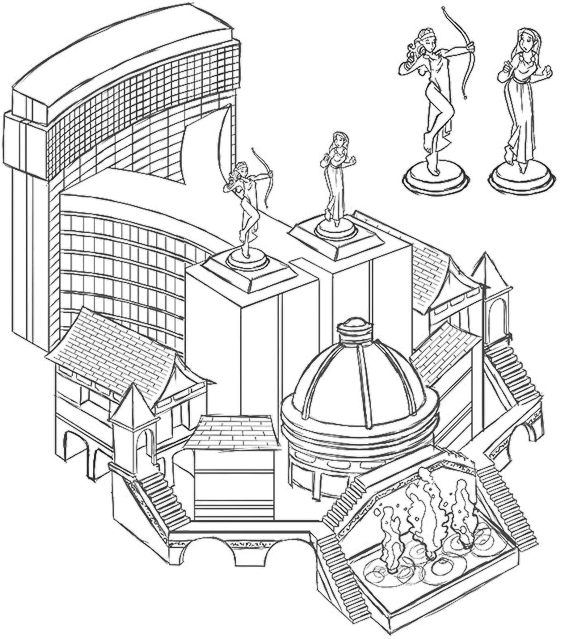 ZoomedOut is looking to create the first game experience of its kind that uses proven game-play mechanics with a subtle injection of hospitality that benefits and enhances one another in a single seamless experience. Collect resources to conquer every single building and point of interest in any given city, alone or with a team. Imagine vacationing and staying at your favorite Las Vegas casino, by being geo-located at the property you will conquer it faster and receive additional onsite game-related goodies. ZoomedOut also empowers businesses to reach out to users and showcase what hospitality offerings they have (rooms, food, activities, etc.) noninvasively within a unique section of the game. Businesses can also update how their building or point of interest is portrayed within the game by giving users a new way to explore before they go. These businesses can also “upgrade” their building to provide more attractive benefits and perks for the users that have conquered it. ZoomedOut creates an infinite game loop of collecting, conquering new locations and upgrading/repairing so players never run out of things to do. Capture buildings by meeting specific requirements (committing resources, having a high enough global power score(rank), etc.). 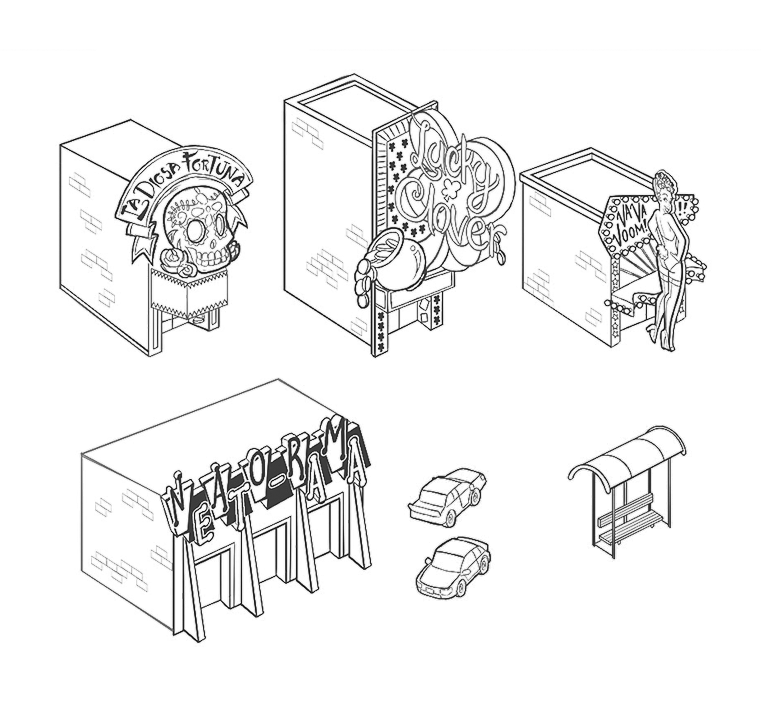 Once the requirements are met the player can begin the “conquer” process through either an elapsed time quest or a clicker like a takeover meter. Both sub-games of either elapsed timed quest or clicker takeover can be interchangeable. The goal is to conquer and maintain every building or point of interest in a given city all while collecting as many resources as possible. 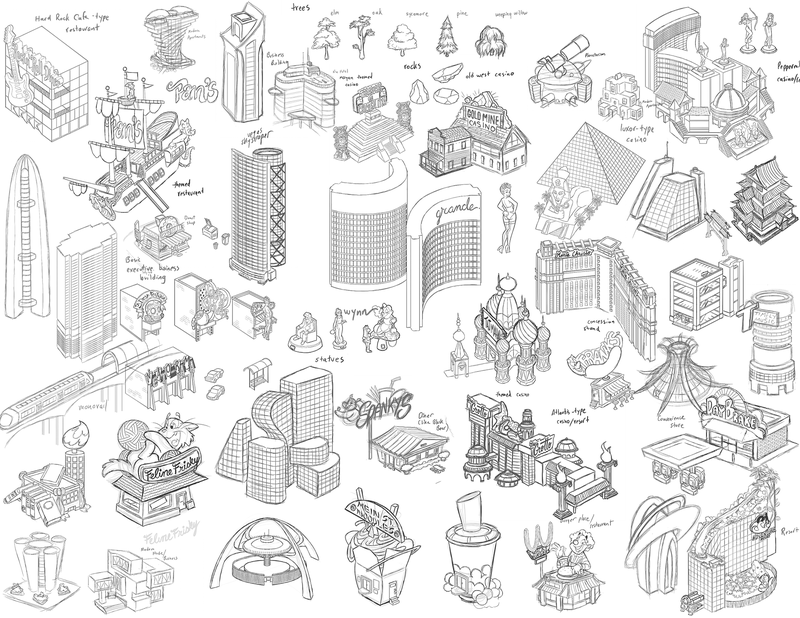 Capturing different types of buildings will yield different resources. For example, if a gas station was to be conquered, you will begin generating gas resources, or if a restaurant has been conquered, you will start generating food resources. The various amounts of resources can be used in any number of different ways when it comes to upgrading, repairing, conquering, etc. Different resource requirements force the players to strategically conquer buildings to expand their dominance based on the requirements to conquer those around them. 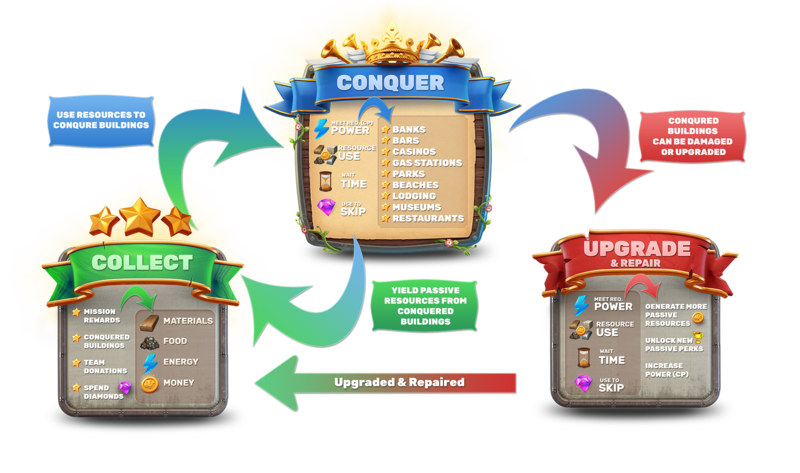 The goal of the game is to gain as much conquer power by conquering more and more unique buildings as well as hoarding resources to use for various in-game tasks. Commonly found in other idle games, ZoomedOUT has progress that can be made while the user is away and the application is closed. This could be in the form of collecting the resources that would have gained while you were away, or that would have elapsed during the quest. The draw of these two mechanics is to make the players always feel like they are always winning and gaining but never losing. Once a building has been conquered it can become damaged in the future. When a building has been damaged, it will remain conquered and contribute towards your overall buildings conquered count but any resources it may generate or additional benefits it provides will be temporarily halted(or slowed) until repaired. A user can begin the repair process which takes time, and this can be sped up though commit additional resources as well as IAP. ZoomedOUT will allow unique and exclusive benefits for players that play while being present in the cities within the game. Players can go to real life location for exclusive resources, perks, etc. As new businesses join the game, they can constantly change their buildings influence and benefits potentially creating endless new strategies on how to play the game every time you play. Missions are weekly occurrences where players compete individually or as a team against other individuals or clans. After a mission starts, players have 24 hours to accrue the most the points whether it be to collect the most gas quest or repair the most buildings. The winning player or team will receive high-value rewards. Players can create and join a team by finding a community of players like them to play with. While on a team, members can send resources to help each other, compete in special team vs. team missions all while boosting their overall power based on the performance of the team members. The ZoomedOut utility tab offers businesses the ability to showcase their various hospitality offerings (room, food, activities, etc.) offerings. ZoomedOut can filter the city to show it in a new way as it relates to the users search and interests at an additional charge to the business. As more and more business add their offerings within the game, users can begin generating quests. Quests are just a collection of those offerings that can be easily shared with friends to complete as well, kind of like leaving breadcrumbs of awesome stuff to do based on your experiences in the cities. These quests can be used to plan a trip before you go, or even to plan a group outing like a bachelors party. These quests can then be shared and ranked by the community so that anyone can keep up with the hottest things to do in a given city. Unlike traditional ads that are invasive, ZoomedOut takes advantage of using the landscape of the city to its advantage. Advertisements can now be placed on billboards that are placed throughout the city, floating through the air on blimps and banner planes, or even animating their current location to draw users to click and find out more. 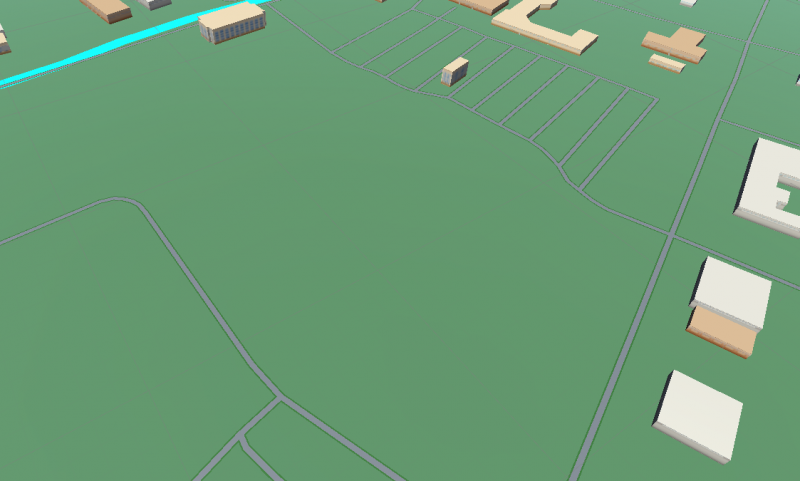 By default, all buildings in the game will have a generic representation of their building or point of interest. Businesses can sign up for the free tier or pay to customize their building or point of interest so that it becomes more prominent in the surrounding area to help encourage more click-throughs and foot traffic. In addition to having an updated look in the game, the business will be able to select from numerous options of how conquering that building or point of interest affects the game. Players may earn more resources or increase their global power substantially which can make some locations more sought at after than others. Has the ability to show various reviews pulled from a 3rd party API. A simple one-click portal that will connect any existing booking and reservation system to the game. Businesses can also issue special rewards and coupons to players for completing their things to do or checking in on site. Does not depict the final look and feel. For demonstration purposes only. Players will have the option to watch Unity Advertisements to help speed up or benefit what they are doing. These instances can range from (reducing the conquer time by watching an ad, increase the number of resources when collecting, or even making a building less susceptible for an amount of time before becoming damaged. Businesses can also pay for advertisements such as digital billboards, specifical effects around their building, flying plane banners, etc. These advertisements aren’t your traditional in your face, nagging advertisements but ones that integrate into the ZoomedOut world seamlessly. 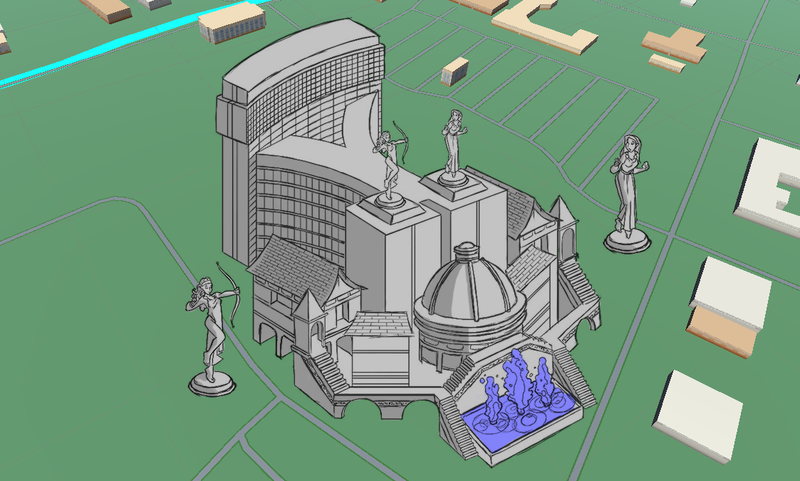 Generate a Portion Beta City Las Vegas Using The Maps API in ZoomedOut’s unique style. Get in touch! Send us a message! Owned & Operated By ZoomAway Travel, Inc.
Website designed and developed by Zero 8 Studios, Inc. Does not depict actual art style. By continuing you agree the following forward-looking statements. This presentation includes statements that include “forward-looking information” as that term is defined in securities laws. Forward-looking statements incorporated into this document include statements with respect to the creation of new products, use of new technologies, potential expansion into new markets, competition, marketing plans, information contained in past news releases and any financial information such as revenue projections and product success. These forward-looking statements are made based upon reasonable assumptions about the nature of our industry and projections of revenue and growth are based on statistical data regarding our industry, the success of others, our time spent in the industry, knowledge of how systems work. Revenue projections are also based on the historical performance of this company, and the trends and data we have collected ourselves over several years in the hospitality and technology sectors. Actual results could differ materially from the forward-looking statements set out in this presentation. Factors that could cause the actual results to differ materially from those in forward-looking statements include regulatory actions, market prices, and continued availability of capital and financing, and general economic, market or business conditions, as well as risks inherent with the adoption of new technologies in a competitive environment. Investors are cautioned that any such statements are not guarantees of future performance and actual results or developments may differ materially from those projected in the forward-looking statements. The following constitutes forward-looking financial information and is based on assumptions which management of the Corporation believe to be reasonable as of the date on which these statements are made. This forward-looking financial information is limited to the period from March 2019 to July 2019 and is prepared and presented in accordance with GAAP. This forward-looking financial information is being presented solely for the purpose of presentation and discussion of opportunities that may be available to the Corporation and may not be appropriate for any other purpose. Persons reading or participating in a presentation of this document should also refer to the paragraph above and the disclosure regarding forward-looking information generally and in particular the disclosure of risk factors that may cause actual results to differ materially from the forward-looking information presented here. Zoomaway provides its clientele with a 72 hour cancellation policy for all of its services with the exception of large group outings which are defined by a individual contract provided to the group leader. Cancellation policies for certain clients can vary and Zoomaway will pass on the client (host) cancellation policy. Zoomaway provides technology solutions to businesses and their individual cancellation policies are supported and outlined in all of our technology pieces and customers must agree to these policies before proceeding to finish their transactions.